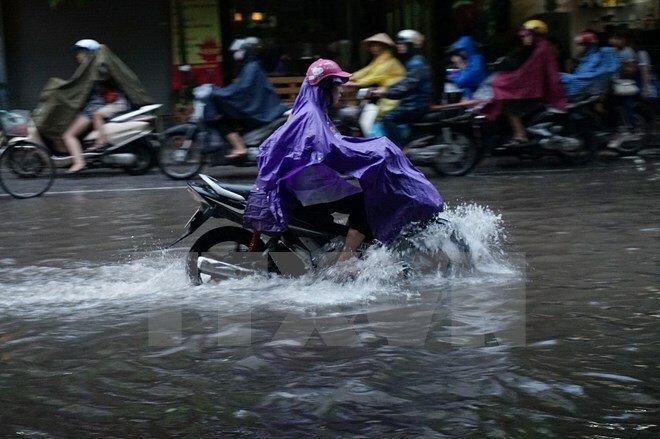 Hanoi (VNA) – Unseasonal rains are likely to hit central, Central Highlands and southern regions in March spurred by the active operation of the equatorial low pressure belt, according to the National Centre for Hydro-Meteorological Forecasting. Rainfalls from Da Nang to Binh Thuan are expected to be 20-40 percent higher than the average while precipitation in Central Highlands and southern regions is believed to stand at 30-50 milimetres. Temperature in central localities will range from 20-24 degrees Celsius, 0.5-1 degree Celsius higher than the average level of many years. Meanwhile temperature in the Central Highlands and southern regions during the month will be 0.5 degree Celsius lower than the average, from 25-28 degrees Celsius. Nguyen Dang Quang, head of the short-and long-term forecast section, said that March will see three or four weak cold waves wrapping the northern region.